> What career advice would you give to an unhappy big law firm associate who wants to change fields? What Can a Law Student Learn by Interning at a Big Law Firm? What References Can I Safely Give a New Law Firm Before a Lateral Move? We asked attorneys and other legal professionals in the United States what career advice would they give to an unhappy big law firm associate who wants to change fields. The experts provided useful tips and advice for law firm associates who want to change fields. We hope you find their recommendations helpful. Why did you become a lawyer in the first place? What landed you where you are and what can you learn from that, to avoid the same mistake. Do you want to leave because the Big Law life is not a match for your life or are you just in the wrong law firm? Does your heart yearn for justice or to do research? So often, young lawyers accept the first job that comes along without doing the self-assessment and inquiry into what will really work with their goals, interests, values and life plan. They fall into the Big Law life because they haven't explored the myriad of other options that could be available. The number one thing that keeps a big firm lawyer unhappily in place is the pay. It is hard to make that kind of money doing something else--at least initially. My advice is to encourage the lawyer to contemplate a life that (1) has less earnings in it; (2) more time for friends and family; and (3) true job satisfaction. I own and run I.AM.YOU., a lifestyle company in NYC.I would advise to not quit when you want to, and 'suffer' through 3-9 months more than you think you can. As the author of the best-selling book "Life After Law: Finding Work You Love with the JD You Have," which came out last fall, and as a former big firm law partner myself, I have a lot of advice to give about this. If limited to one thing, I would say "Don't wait for the perfect opportunity to come to you, or to have perfectly formed plans. I have never met anyone who left big firm practice and regretted it, although I've interviewed over a hundred former lawyers who wish they had left sooner." I speak with unhappy big law associates frequently. I they are thinking about changing careers, I advise them to practice mindfulness and to try not to be afraid. I left big law in 2011 and walked across America. I know a thing or two about walking out. We are often successful without finding happiness. We spend so much time working to become that successful lawyer, we don't take time to stop and determine what makes us happy. Before switching careers, you need to identify your Higher Purpose so you can move to a new career that will bring meaning and fulfillment to your life. You also might be able to find it with your current job once you know what it is. -I did this myself, years ago, and that first change led to my becoming a career consultant to other attorneys asking the same question! Hi I am Cheryl Heisler and through Lawternatives I help attorneys identify and switch from law to other careers that make them happy. The first piece of advice I would offer any big law associate is that there is life after big law. After all the time and all the money that went into landing the big law firm job, the idea of leaving it can be terrifying, even to someone who is miserable. The sooner unhappy associates can envision a successful life/career outside of the law, the sooner they can begin making a plan to achieve their own career switch. How do you find these other role models---and how do you figure out what change is the right one for you Well, that's where the going gets tougher. There are four steps I walk through with all my clients: Self assessment, market assessment, network building, and marketing/selling the "new" you. What aspects of your current job do you enjoy If it's problem solving,consider working as a consultant; if it's interacting with clients, consider a job in sales; if you enjoy writing, consider policy work or journalism. Law school and legal work has provided you with numerous talents and skills - don't be scared to apply them in a more creative capacity. For example, I graduated from Boston College Law School and am admitted to practice law in New York and Massachusetts. However, instead of working for a law firm, I am following a different path, working at a start-up company that connects attorneys with expert witnesses. The Expert Institute is an innovative technology-driven company that is seeking to change how lawyers hire and work with expert witnesses. The Expert Institute custom recruits the world's preeminent subject matter experts based on credentials, location, and pricing. I am incredibly lucky to have stumbled into an opportunity where I can apply the skills I learned in law school - specifically, writing, analyzing, and strategizing - into an area that I have always had a passion for - communications and brand development. I hope that my advice is helpful to your readers! I'd say "go for it," as long as it's a desire to move into the next phase of one's career. Do not "go for it" if it's running away from something. 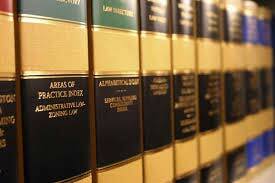 A big law firm definitely has advantages - reputation of the firm, company perks, a career path towards partner, plenty of resources to draw upon, and a great resume builder. A law firm associate can benefit tremendously by giving the big firm a shot and doing the best they can to experience what that career option has to offer. I have heard numerous times from law firm associates that the big firm experience isn't what they had hoped for, that they wonder how they got there, and that they think there's life elsewhere. That's often because working in a big services firm, whether it's a law firm, accounting firm or consulting firm, is about working for your clients. That means many, many hours of working around your clients. When they are off for the holidays, it's the firms who are working. When clients are off on the weekends, it's the firms working those weekends on the deliverables. I must say that firms in all of these industries are changing, realizing that to attract the best talent, they need to build flexible cultures and implement programs that feed the life balance. And they are. While law firms are probably the most far behind in this, there are numerous accolades being given to service firms for their ability to attract and retain top talent. If the law firm associate is wanting to make a change, I'd recommend that they think through this carefully and strategically, as a legal role in another organization or within one's own business will require new and often completely different skills, behaviors and abilities. If they are wanting to make a complete shift out of a legal role, I recommend that they work with a career coach who can help them build a new resume and develop a job search strategy along a different path. As a Career Management Coach with over 20 years' experience, I've worked with many Associates at law firms. We discuss the satisfiers and dissatisfiers and other assessment instruments and see what the data and discussions yield. Career change is a complicated process -- you can start by reading a book, but ultimately it's important to work with an expert.